Miami. This colorful city is one of the United States’ greatest party spots. However, real Miami natives know that this vibrant place has so much more to offer than just beaches, bikinis and booze. It’s a place filled to the brim with culture and memories waiting to be made (and sometimes forgotten). Hop into some flip-flops and experience an average day in the life of a Miami local. 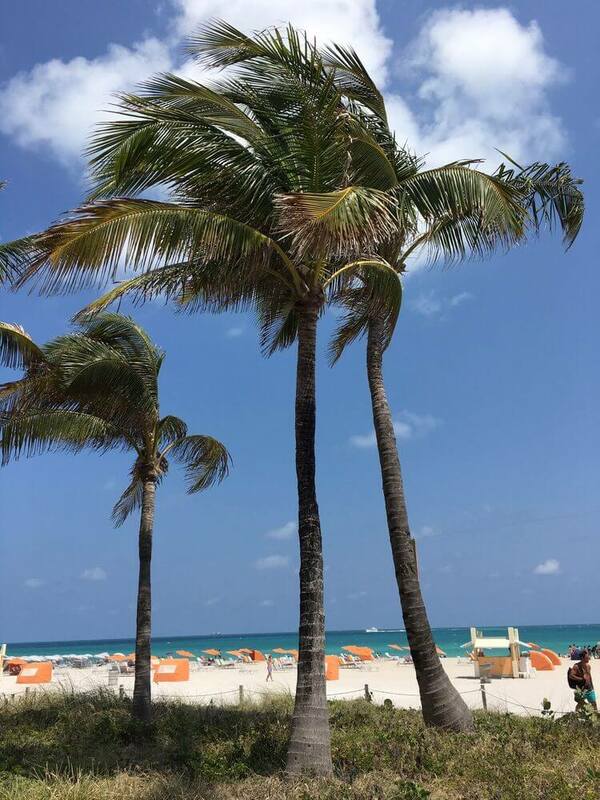 Most people in Miami go to Nikki Beach—a famous beach club that throws amazing brunches and luxurious summer parties. It’s right next to South Pointe Park, AKA the southern most part of Miami’s beach coast. 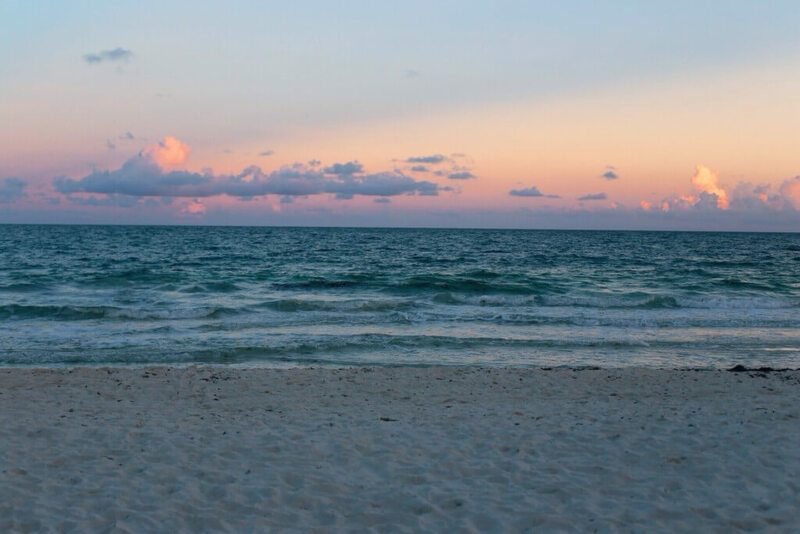 Nikki Beach serves as the perfect place to watch a famous east coast sunrise. 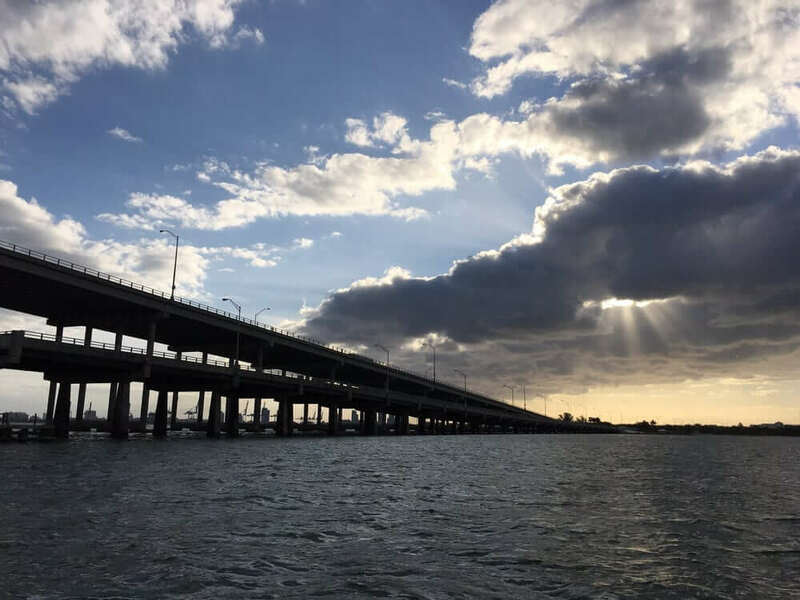 You’ll find the bridge in Key Biscayne, the island town of Miami-Dade County. Key Biscayne Residents, or “Key Rats,” experience a tropical and laid-back lifestyle. “Running or biking the Rickenbacker Bridge was something people would drive from Broward to experience yet it was in my backyard,” said Florida International University junior Amie Ferrer. 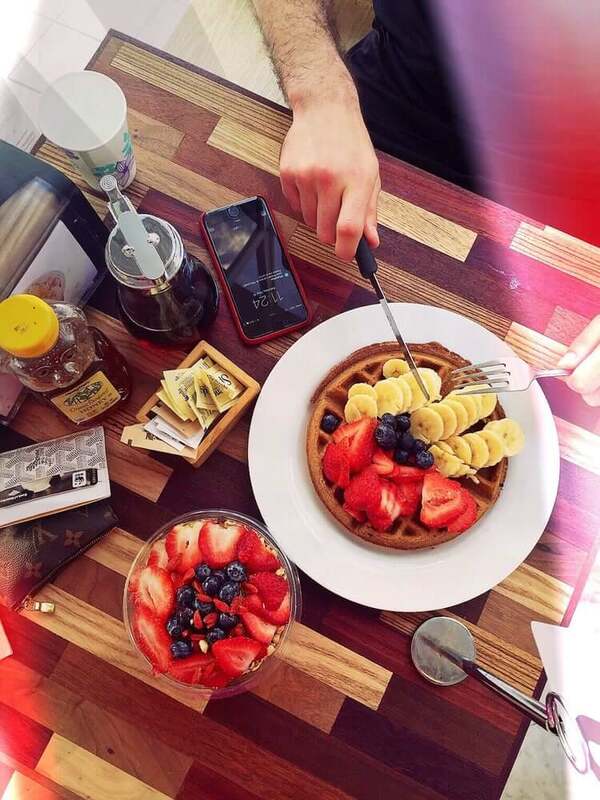 What better way to reward yourself after a workout than with a juice and an oh so yummy whole-wheat waffle topped with fresh fruit at Ten Fruits Juice Bar? They also have some of the best acai bowls, yogurt parfaits and freshly squeezed juices. This bright and vibrant spot also works great for a quick Instagram photo (wink wink). 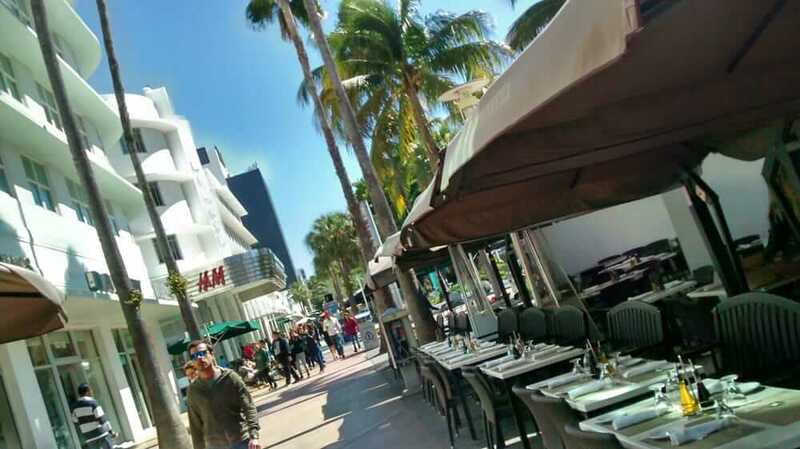 Lincoln Road is an eight block, about 3000 ft. road lined with stores, restaurants and cafes. It’s common to dress up in your most street-style looking outfit and stroll past Dylan’s Candy Bar, Ladurée (where you can find authentic AF macaroons from France) and Kylie Jenner’s favorite: Sugar Factory. You can also buy clothes at the coolest H&M you’ve ever seen (the actual store was once a theater, and walking through it’s so dope). What’s a trip to Miami without visiting South Beach? Even though it’s a little touristy, it’s definitely well known for a reason. 10 a.m. is the perfect time to lie out on the soft, warm sand, not to mention finding parking is a whole lot easier to find at this time. At the end of the hour, you’ll have golden and glowing skin. 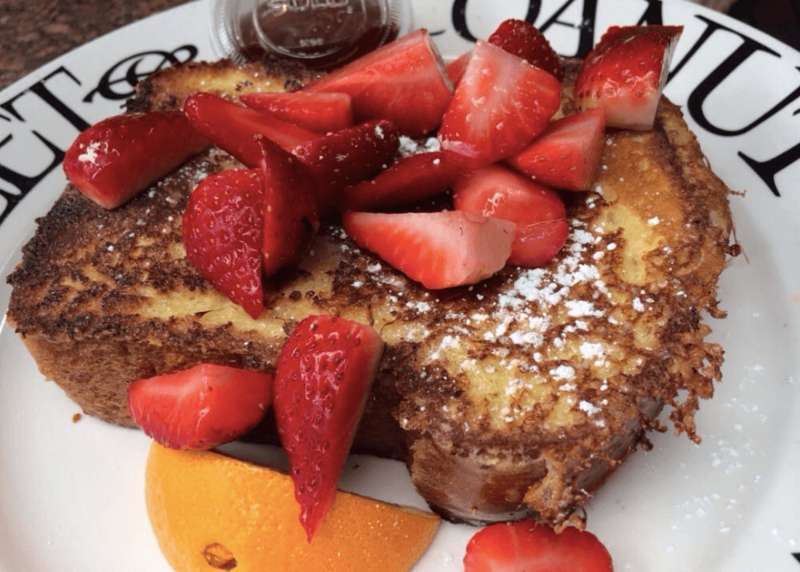 Every Sunday people all across Miami call their best friends and say, “Are you down for brunch at Greenstreet?” “Greenstreet is an open environment where friends and family can gather every weekend to enjoy delicious brunch in the beautiful South Miami weather,” said FIU junior Ali Cabeza. You haven’t lived until you’ve tried their Nutella-stuffed French Toast, Cinnamon Roll Pancakes and Chorizo Mac and Cheese. Yum. Why not go biking to get rid of some post-brunch calories, am I right? You’ll find Greenstreet in one of the most magical and historic areas in Miami called Coconut Grove. It’s next to Biscayne Bay and almost all the streets are lined with huge, towering trees. 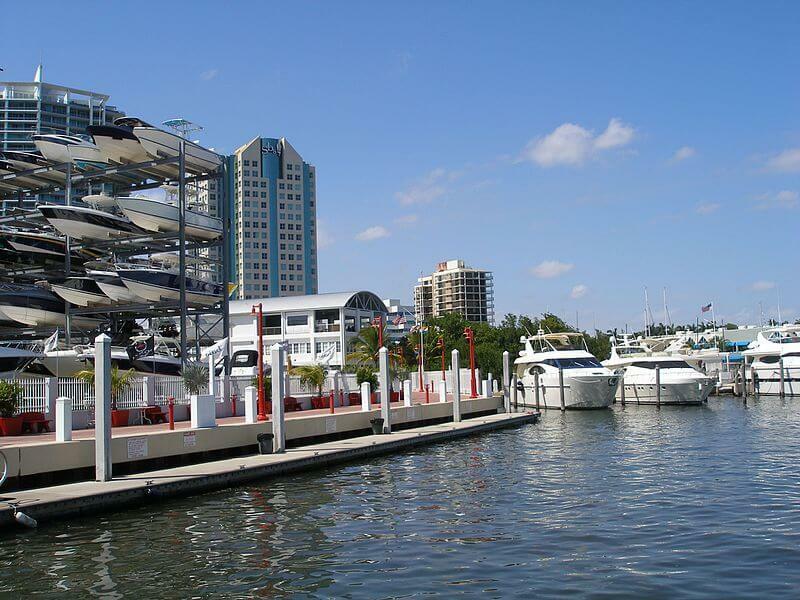 You’ll see tons of shops, boutiques and small parks on the way to the Coconut Grove Sailing Club. There you can watch as the sailboats pass by on glistening waters. 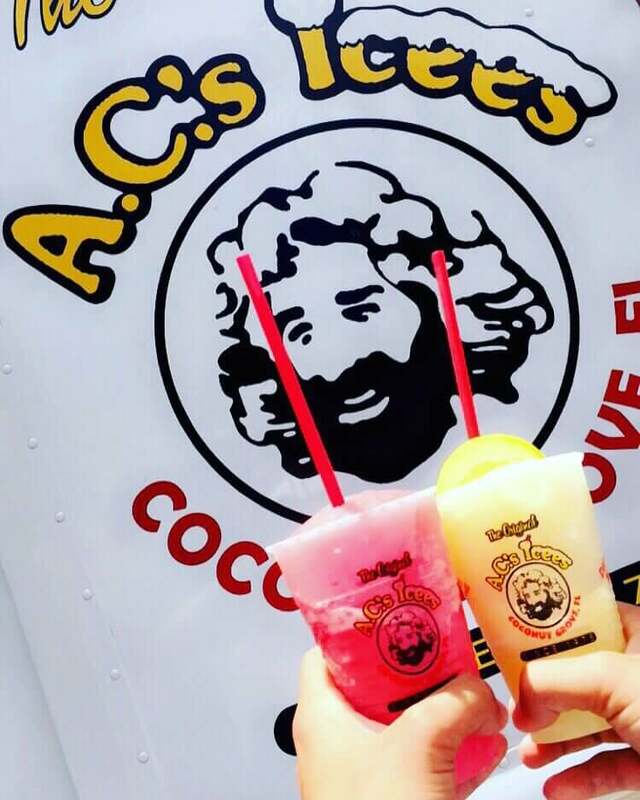 A.C.’s Icees offers a cold, tasty frozen lemonade treat that comes in classic lemonade, cherry lemonade or both. You can find these treats in Coconut Grove right by the bay. It’s another one of Miami’s hidden gems and once you get your hands on one you’ll definitely understand why. After a nice bike ride through Coconut Grove and a yummy frozen treat, hanging out down by the water watching the Miami skyline sounds pretty nice, right? Matheson Hammock Park is hundreds of acres and has a grassy park area, a marina for boats with access to Biscayne Bay and a man-made atoll pool, AKA a lagoon. 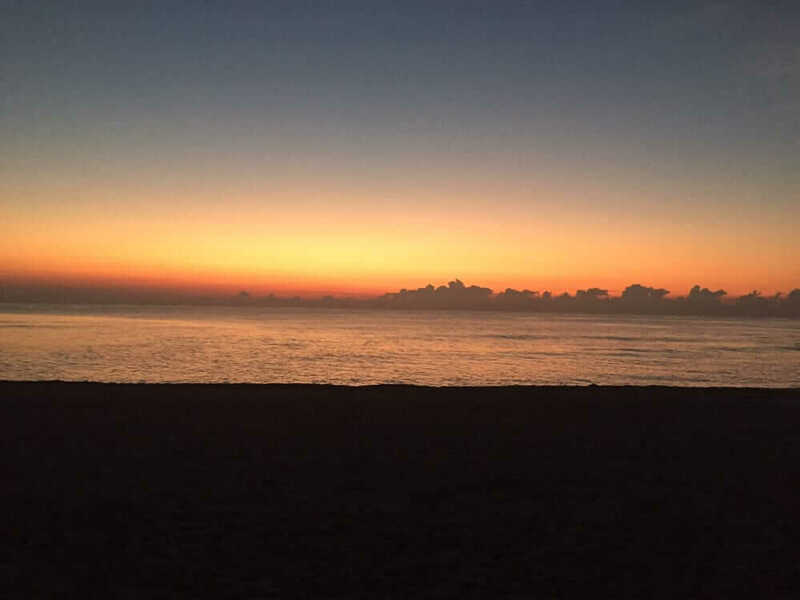 “I don’t have the time to go every day but I have this spot right by the water in Matheson that does a really good job at clearing my mind and my worries,” University of Miami junior Amanda Fuentes said. Brickell is pretty much the place to live in Miami. It’s a very trendy and urban area where you can find some of the greatest bars and restaurants. The Brickell City Center is a brand new mall that’s a massive display of artistry and modern architecture. 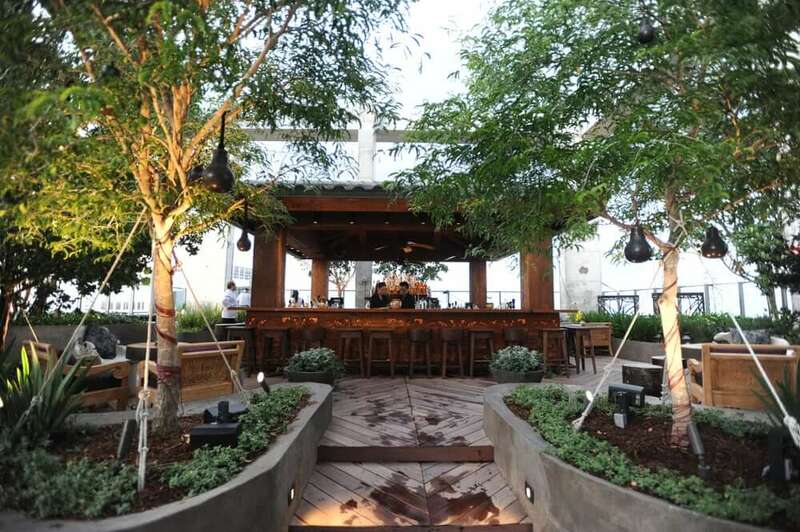 And when you want to grab a bite in Brickell, go to Tacology. 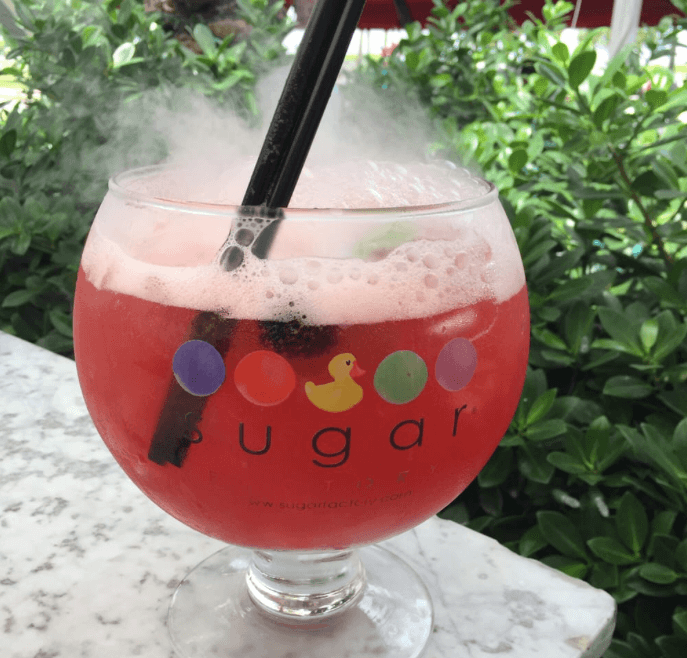 “The restaurant has a great boho-chic vibe with a fun and lively atmosphere… It’s a great place to go on a one-on-one date or even just for a start to a girls night!” said FIU junior Jackie Khoury. The Phillip and Patricia Frost Museum of Science opened in the beginning of the summer and has already attracted thousands of guests. This one of a kind museum, with its futuristic and modern architecture, boasts interactive exhibits, a massive planetarium and a 500,000-gallon overhead aquarium filled with swimming sharks and marine life. Go to Monty’s for refreshing drinks on the water with your #squad. 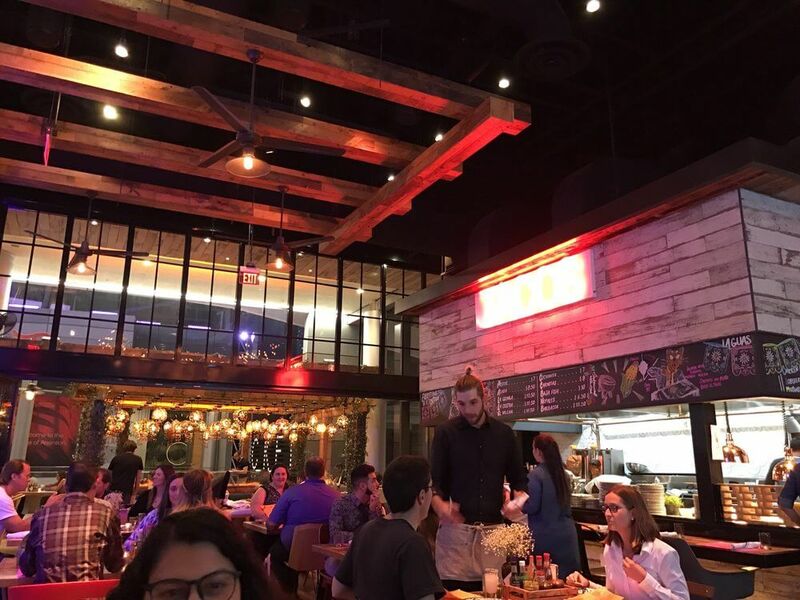 “The view, the food, and the rustic atmosphere make this restaurant one of my favorite spots in Miami,” said UM junior Nick Hurtado. 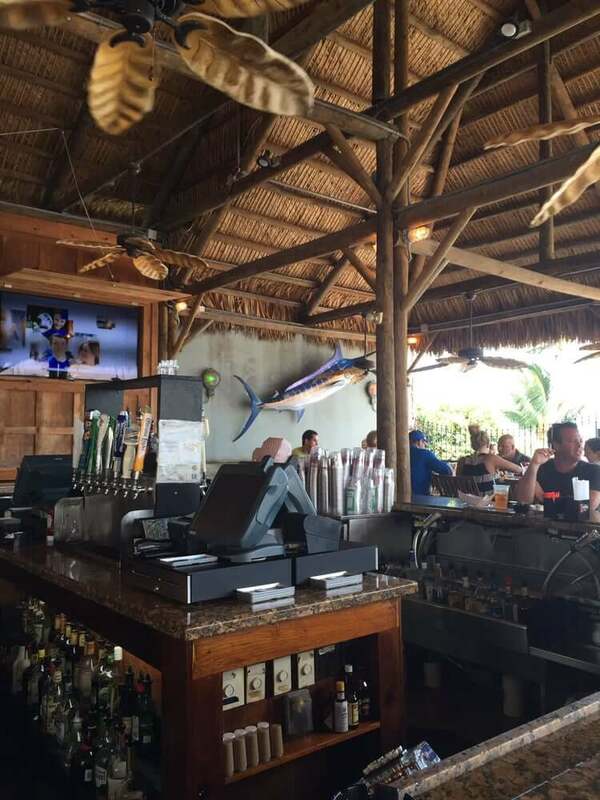 Monty’s is almost like a giant tiki hut. It’s what you’d expect a restaurant on the water to look like. Yardbird Southern Table and Bar put itself on the map when famous food expert and critic Anthony Bourdain visited and loved it. It’s a twist on classic Southern cuisine and makes the perfect balance between comfort and gourmet food. 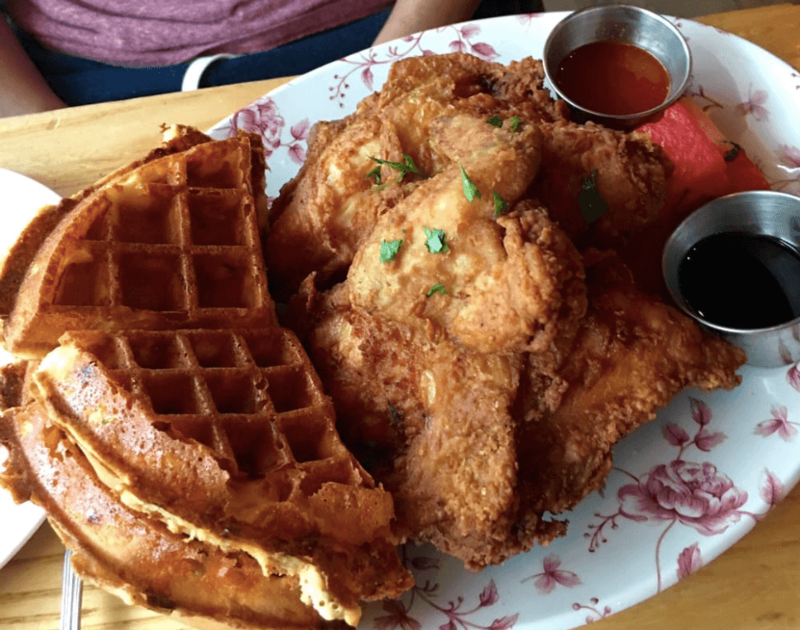 They serve up a mean chicken and waffles, shrimp and grits and yes, fried chicken. The atmosphere feels cool, rustic and very Southern. 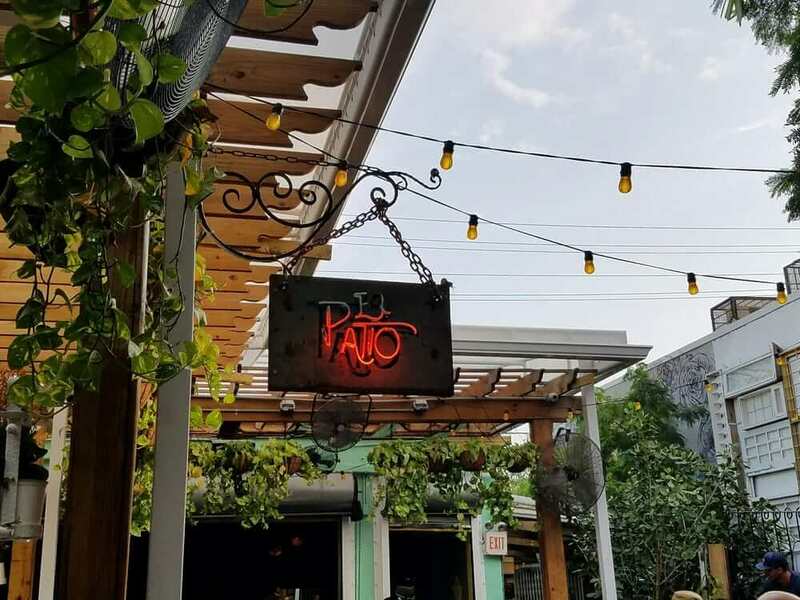 In Wynwood you’ll find a boho-chic outdoor bar called El Patio that attracts partiers from all corners of Miami. “My favorite place to go out on the weekends is El Patio. 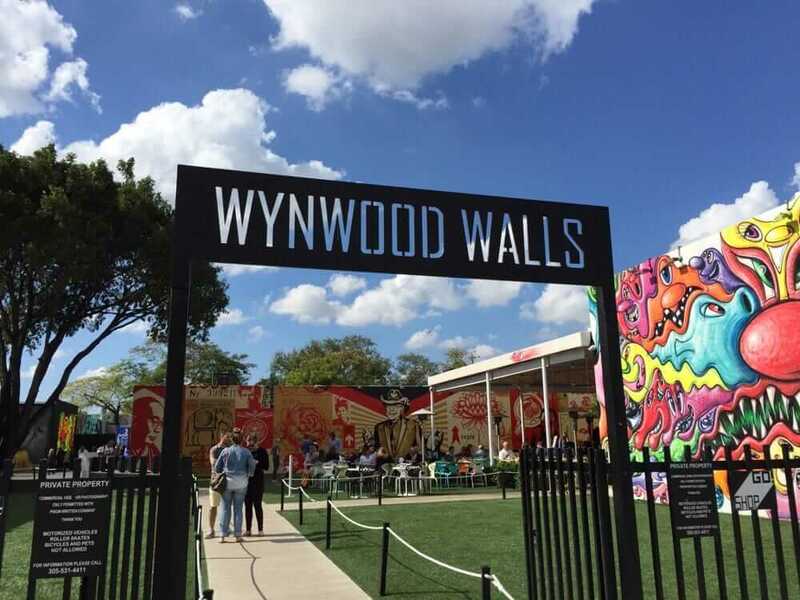 It’s a fun place to go with a big group of friends,” FIU junior Erika Infiesta said. “It starts off as a day event and continues on through the night! Not only is it a popular place to go all day on a Sunday, but it’s also a great place to go on both a Friday or Saturday night.” Outdoors the lights are warm and fun and set the perfect ambiance for starting the night off right. If you’re looking for a place that truly gives off the upbeat, fast-paced, Hispanic, Miami party experience, you’ll most likely end up at TuCandela Bar. 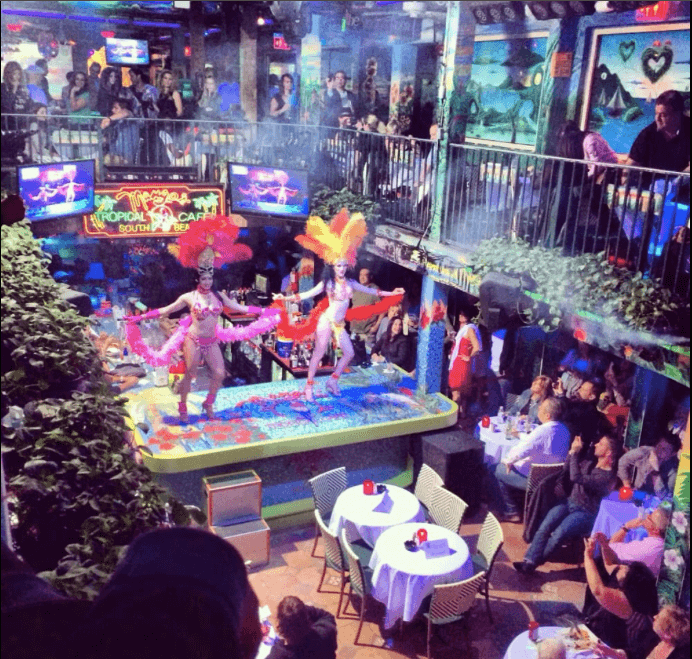 Inside the bar you’ll experience an example of vibrant Latin American culture at its finest. Once you enter, you’re transported into the heart of what Miami’s all about: Having fun and dancing like there’s no tomorrow. Miami is known for its amazing Hispanic and Latin food, so how could you not load up on some of Miami kids’ favorite snack? 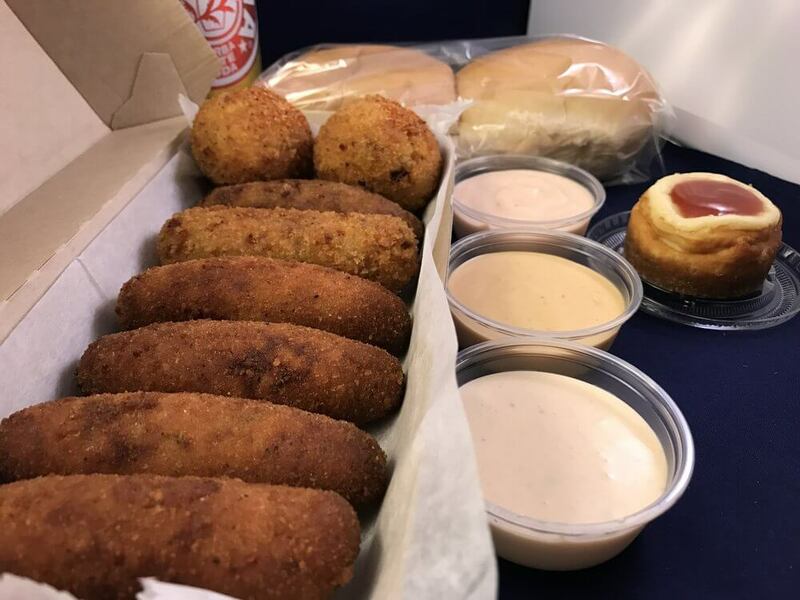 “Dos Croquetas is so good and I love passing by whenever I can,” said FIU junior Peter Hernandez. Go to Dos Croquetas for the best pastry you’ll ever eat. 1 a.m. How about some Mokai? I’m convinced that there’s no prettier view than seeing all the art deco hotels and bars light up at night. The shades of pink, blue, yellow and green are so mesmerizing. 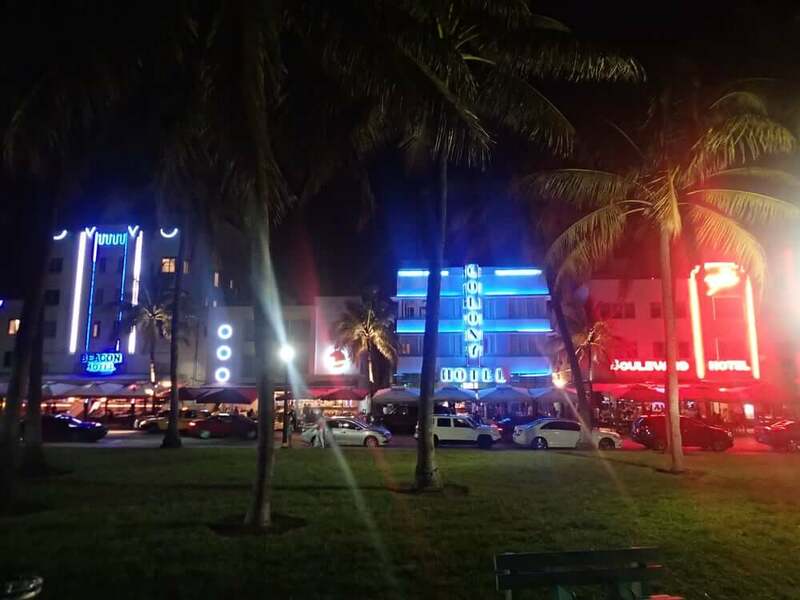 Walk down Ocean Drive and feel the sea breeze on your face and some sand in between your toes (it’s okay if you take off your shoes for a little—it’s a Miami thing). It’s late and most places are closing up for the night, but not Mango’s. Listen to the live music with your squad while sitting in the outdoor area. Nothing’s more Miami than spending time with great people, listening to live Hispanic music and being just a couple of feet away from the ocean. 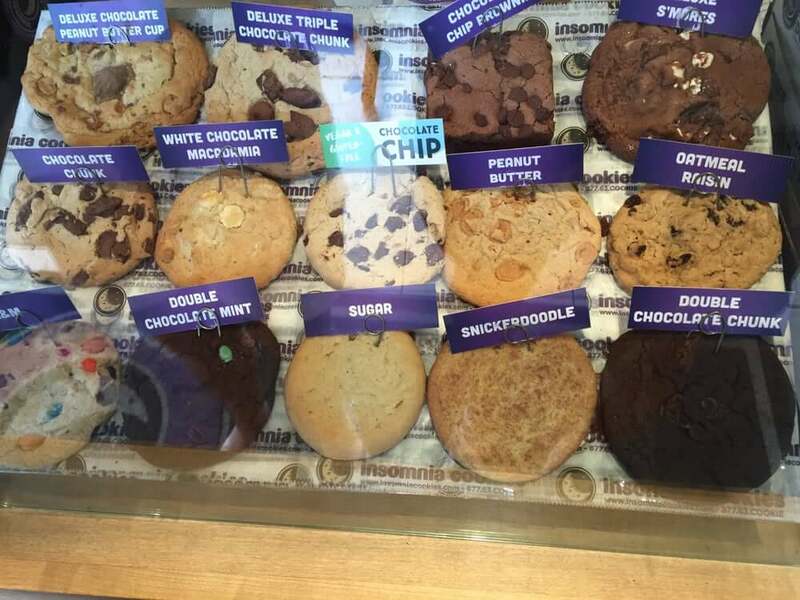 On a small little corner you’ll find a cookie shop called Insomnia Cookies that delivers and stays open until 5 a.m. for anyone craving something sweet. These hot cookies make the perfect late-night snack to end the night with. Nibble on classic chocolate chunk, sugar, M&M, s’mores and triple chocolate chunk cookies. You’re probably so exhausted after the day you’ve had. To end it on a great note, walk over to the beach and finally relax. Something I’ve learned is that after a great night the beach marks the perfect place to recount the events and laughter with your friends. Look back on memories and appreciate them with the people who mean the most to you. And after the hour ends, start all over again. Sophomore from Miami studying journalism at the University of Florida (#GoGata). Writer, graphic designer, Instagram addict, lover of all things pink and denim, bold and edgy, greasy and fried.